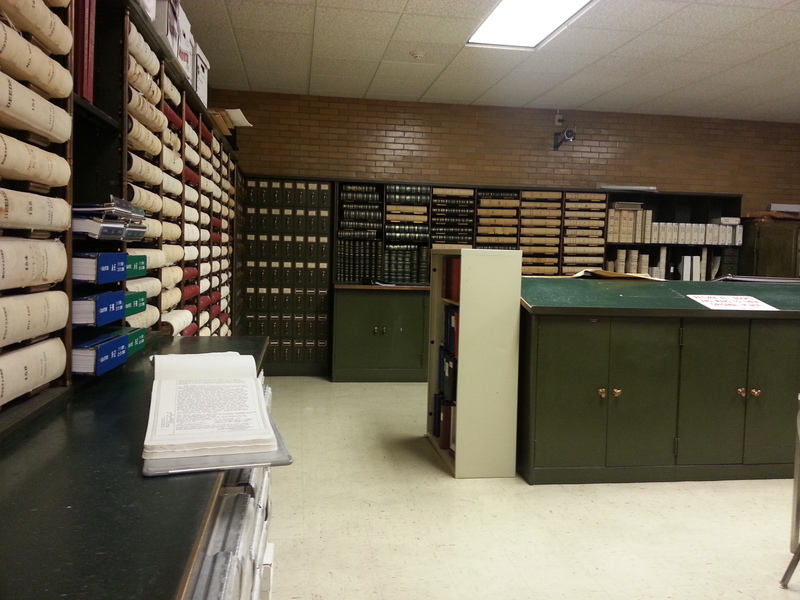 My days at the Family History Library in Salt Lake City this winter, aided by my research notebook, gave me the opportunity to pursue many record sets that I had not used before. Of course many of those turned out not to have the possible record I was seeking. I am recording all those negative results, and also taking a careful look at what I did find. I have been pursuing the unusual story of my ggg-grandfather Russell Lamphere (1817-1898), who moved his family from Norwich, Connecticut to Tuscaloosa, Alabama in the 1850’s to start a business, and returned by 1875 to Johnston, Rhode Island where he attempted to launch another business. Russell was a metalworker/machinist, and often worked as an overseer in cotton mills, but what the business was exactly, I don’t know. The most intriguing thing I know about him is that a congressional bill for relief was submitted to the U.S. House of Representatives three times in the 1880’s seeking reparations for his losses during the Civil War – totaling $50,000. I have to know what this was. I just have to. Recently, a perceptive reader pointed out to me that pursuing the wealthy, better documented industrial families of Norwich might reveal a business interest in Tuscaloosa, Alabama … possibly a partner for Russell. She pointed out that it could even explain the relationship with Congressman John Turner Wait. I have stalked Mr Wait and his connections for years and have yet to turn up a plausible link to Russell. So it’s time to pursue this idea, and I am planning a visit to Norwich where I will follow up a bit more on that this summer. It makes a lot of sense because Russell, a metalworker, often worked as an overseer in cotton mills and I suspect his expertise was in the machinery itself … the kind of expertise a wealthy mill owner would probably want to bring with him to Alabama. But there were no property or probate records for Murrell in Tuscaloosa. I didn’t know if Russell had ever purchased property in Tuscaloosa, so this was my chance to go through Tuscaloosa deeds. Nothing turned up. I wasn’t too surprised. I knew by this ad in the Independent Monitor that he was running a shop in “a house” that was formerly a book store – I could imagine the family might live in the back or upstairs. It always struck me as rental property. But while I was at it, I also noted the film numbers for deeds back in Norwich, Connecticut, where Russell was born and married, and where his father had lived since 1807. I realized I had never examined any deeds from there, mostly because I didn’t really expect that they owned property. I haven’t worked on Russell in a long time, and I think on my previous visits to Norwich, years ago, I wasn’t used to looking at deeds and didn’t realize that they revealed so much. Rookie mistake, of course. And so I learned that they did, indeed, own property, through some strange and convoluted transactions. I captured images from microfilm and have been examining them for a couple of weeks. 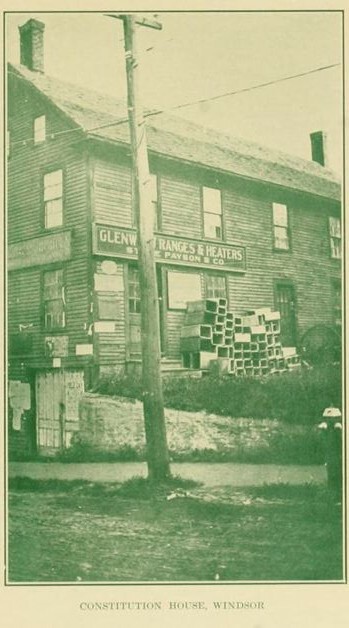 Henry Palmer sold to Russell Lamphere and Russell Lamphere Jr for $200 a tract of land with one half of a dwelling house in the village of Greeneville, Norwich, near Main & Sixth Streets. ALWAYS PROVIDED … notes of hand … well and truly paid with interest … one year from date (this is just a mortgage). 2 Aug 1845 (52:548). William Phillips, Conservator of John J Denison of Norwich … a lunatic and distracted person … for $545 paid by Russell Lamphere (who was the highest bidder) certain parcel of land … said homestead … the portion NOT sold to Dwight L. Phillips … (refers to deeds from 1828 and 1839 for full description). 9 Jun 1847 (54:382). Dwight L Phillips of Norwich … for $175 received of Russell Lamphere 2nd of said Town … a certain tract of land at Norwich Falls (same property as conveyed to me by William Phillips Conservator of John J. Denison 28 April 1846 – p. 357 – a portion of the old homestead of said John J. Denison, the remainder of which is this day deeded… to Russell Lamphere. 9 Jun 1847 (54:383). Russell Lamphere 2d of Norwich … for $400 … received of John J. Denison … a certain lot of land situated in the Town of Norwich at Norwich Falls … the same property as was conveyed to me this day … from William Phillips … and all the buildings thereon standing … ALWAYS PROVIDED … I am justly indebted to him for … the sum of 400 dollars with annual interest … if I do well and truly pay … this present deed to be void (this is just a mortgage) … 9 Jun 1847 (54:384). Russell Lamphere 2d of Norwich … for $175 … received of Dwight L. Phillips … do sell … two parcels of land … in the town of Norwich … with the buildings thereon standing … being the same parcels of land as have this day been deeded to me the one from William Phillips as Conservator of John J Denison and fully described in said deed from Wm Phillips to me and the other fully described in a deed from Dwight L. Phillips to me, the whole comprising all the old homestead of John J Denison … ALWAYS PROVIDED … I am indebted to D.L. Phillips by my note … the sum of $175 … if I pay … this present deed to be null and void. 9 Jun 1847 (54:385). Russell Lamphere Junior of Montville … for $100 received … quit-claim unto said John Eggleston of Norwich a certain tract of land situate in Norwich, being a part or portion of the “No Man’s Acre” lot, so called … North side of the highway leading from the Methodist Chapel, at Norwich Falls, to the Paper Mill Bridge … meaning to convey in this conveyance, all the buildings on said land, and all appurtenances and privileges … being the land and premises which were conveyed to me by Thames Manufg Co by two deeds, one of which is dated Feb. 28, 1828, and is recorded in Norwich, in the 40th Book of Deeds, at the 527th page, and the other bears the date the 1st day of April 1828, and is recorded in said records, Book 44st at page 43, to which reference is had … set my hand and seal … 15 May 1851 (57:384). 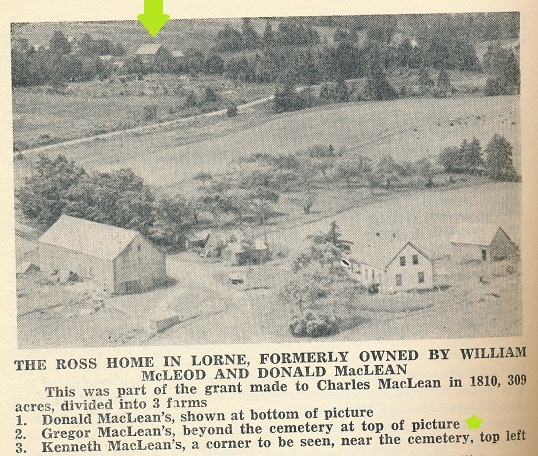 As I read deed #6 I realized that when I perused these deeds at the Family History Library, I missed the point that the property had been acquired by Russell Lamphere 2nd in 1828. Although Russell’s birth was apparently unrecorded, he consistently reported a birth year of 1817 or 1818. He can’t have purchased the property from the Thames Manuf. Co. at the age of 10 or 11. And it couldn’t be Russell Lamphere, Sr. since his father’s name was Daniel (by 1850, “Jr.” or “2nd” was very likely to have the same meaning that it has today). Not only that, but Russell was recorded in the 1850 census living in Norwich. I wasn’t sure what “of Montville” was referring to in an 1851 deed. I have studied the name Lamphere in Norwich for a long time. All Lampheres at the Falls seem to be Russell Lamphere 2nd’s parents or siblings. The idea that ANOTHER, older Russell Lamphere 2nd was hanging around the Falls buying property was quite a lot to take in. I really, really had to know what those 1828 deeds said. It was the first morning of the NERGC conference. I realized it was one of the few days I would have off of work for a couple of months. So, I made a quick trip to Norwich before attending the conference that day. It was a genealogy emergency. The Falls in Norwich, on the Yantic River, from Map of New London County, Connecticut, Walling, 1854. 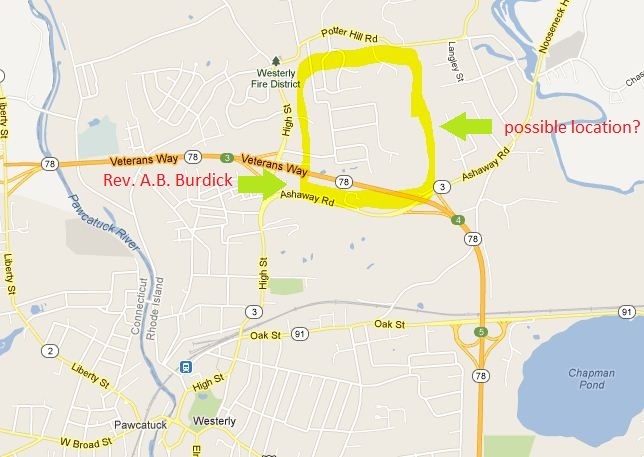 I believe this section compiles a couple of busy neighborhoods because the Shetucket River and Greeneville (the reddish factories shown in the top corner) are actually to the south and west of the Falls neighborhood. 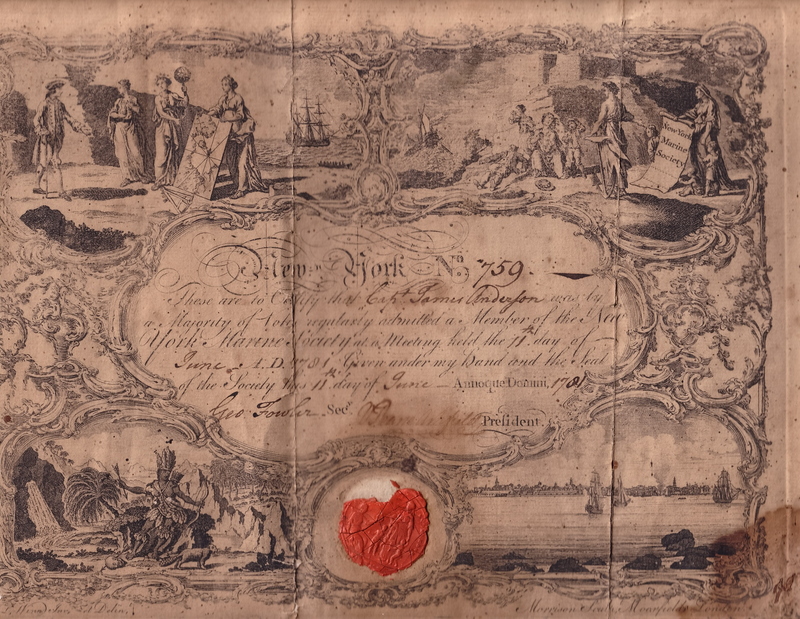 Deed 40:527 was a deed for part of “No Man’s Acre” being sold for $870 to Stephen Remington, by the Thames Manufacturing Co., 28 Feb 1828, signed by William P Greene and Williams C. Gilman. Deed 44:43 was for an additional portion of the “No Man’s Acre” also sold to Stephen Remington for $100, 1 April 1828. I investigated the Thames Manufacturing Company and found a good overview of the establishment of the various mills and factories at the Falls in Modern History of New London County, Chapter VI, “The City of Norwich” (particularly p. 150-152). Some businesses failed during the panic of 1837, and the buildings were later re-used by new companies. I can only conclude that the phrase “conveyed to me” in the 1851 deed was simply an error. 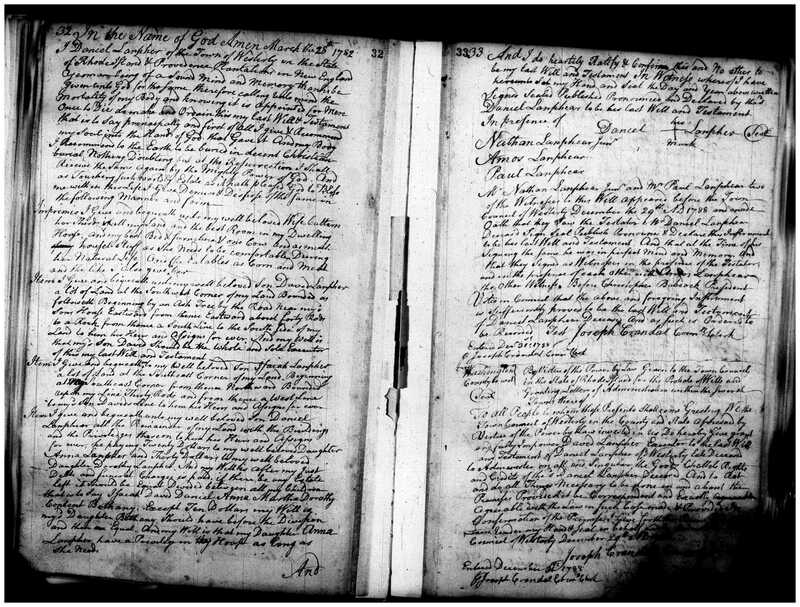 Many portions of deeds were copied (I recognized the descriptions from deed to deed) and the deeds recorded in the town hall are, themselves, copies. Careless wording could have happened at any point. Don’t look now, but I think I just passed some sort of genealogy milestone. I found my first mistake in a deed. An 1833 map of Norwich by William Lester, from the David Rumsey Map Collection, shows a different view of The Falls. The orange spot is near the original section of Yantic Cemetery; could there have been an early church there? The map legend suggest it might be a Methodist Church. Or, it could just be the early part of the cemetery. Russell Lamphere and his father gave a $200 mortgage in 1845 to Russell’s brother-in-law, Henry Palmer (married since 1830 to Russell’s oldest sister, Lydia Lamphere). The transactions in deeds 2, 3, 4 and 5 all occurred on the same day, 9 Jun 1847. Russell purchased, in two separate transactions, the full property of lunatic John J. Denison for a total of $720. He obtained two mortgages from the sellers (one, the Administrator of Denison’s estate, the other, a local man who had purchased the other portion of the estate at the auction) for a total of $575. 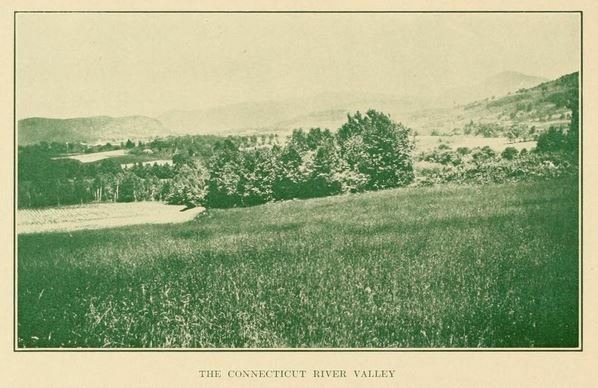 The property was located in Norwich Falls and was at one time owned by the Thames Manufacturing Co.
Russell Lamphere was living in Montville (just to the south of Norwich) in 1851. 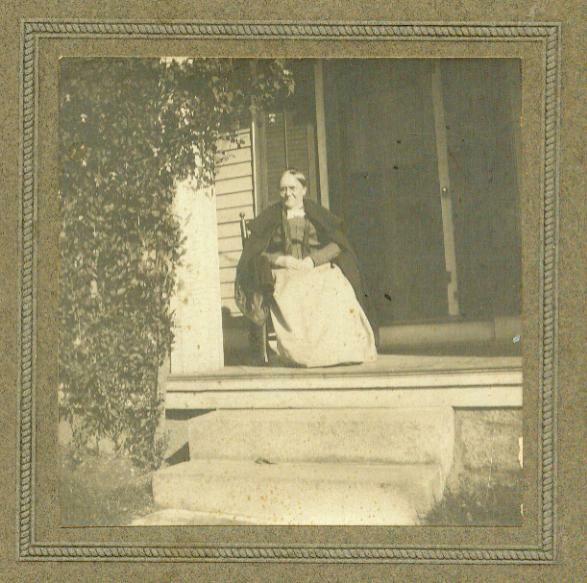 He left Connecticut shortly thereafter; my gg-grandmother Emma Lamphere would be born in Alabama in 1854. Russell quit claimed his rights to the entire property in 1851 for $100. Quit claim means you give up any rights you may or may not have in a property; I assume because of the mortgages that Russell couldn’t sell it in any other manner. This is murky to me; the mortgages aren’t mentioned. So, he owned the property for four years. Falls Company, pictured in 1888. By then, the factory was greatly expanded from the early days as the Thames Mfg. Co.
Who was John J. Denison? DIED … In Norwich Falls, on the 11th inst., Mrs. Olive Denison, wife of John Denison. John J. Denison, who has lived a recluse at Norwich Falls ever since the death of his wife, twenty-nine years ago, was found dead in his bed the other day. He refused to live with his children, persisting in a solitary mode of living. The neighbors having missed him from the streets for some days, entered his hermitage by a window and found him. 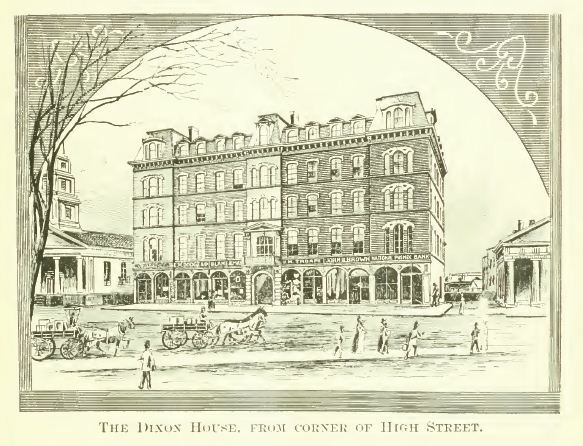 John Denison lived next door to Russell in 1850. This probably just means that they let the recluse rent or just live somewhere on the property even after the 1847 sale. 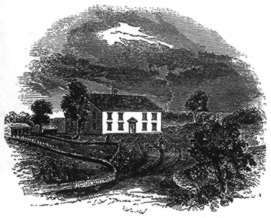 Russell and his family living next door to John Denison in Norwich, 1850. 1850 Federal Census, Connecticut, New London County, Norwich, p. 286. 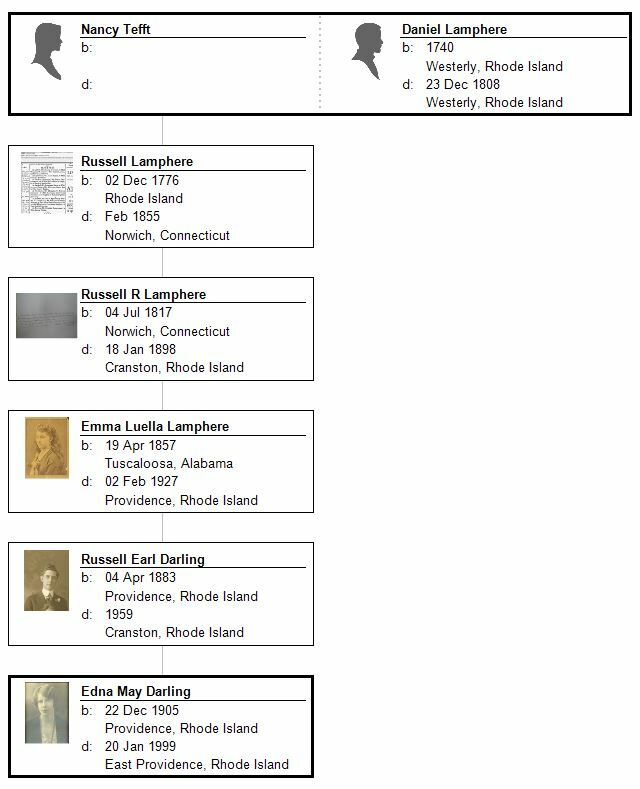 Was John J. Denison (likely born in 1805 in nearby Stonington, Connecticut) a relative of Russell Lamphere’s mother, Lydia Minor (Minor is a common Stonington name and Lydia is a brick wall with unknown family)? 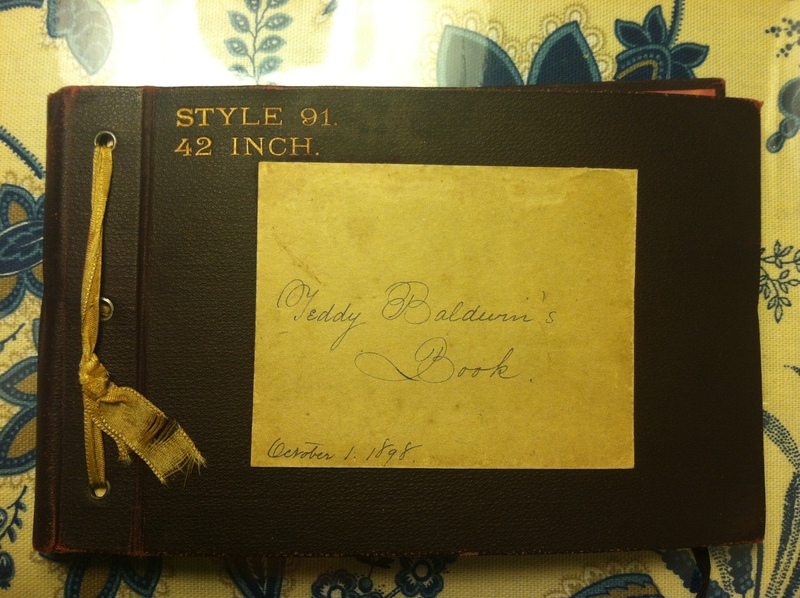 John appears on page 123 of Baldwin & Clift’s A Record of the Descendants of Capt. George Denison (1888) as John I Denison. I have no idea of the reliability of this book, but I cannot make out a possible relationship to Lydia. Oddly, Russell Lamphere Sr. had a sister Nancy (Lamphere) Crocker (1787-1862) who had a son named John Denison Crocker. 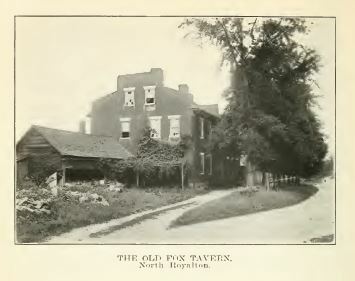 While a relationship to John Denison is looking unlikely, any connection might possibly go back to Russell Sr.’s brick wall mother, Nancy (—) Lamphere (c1752-1833). 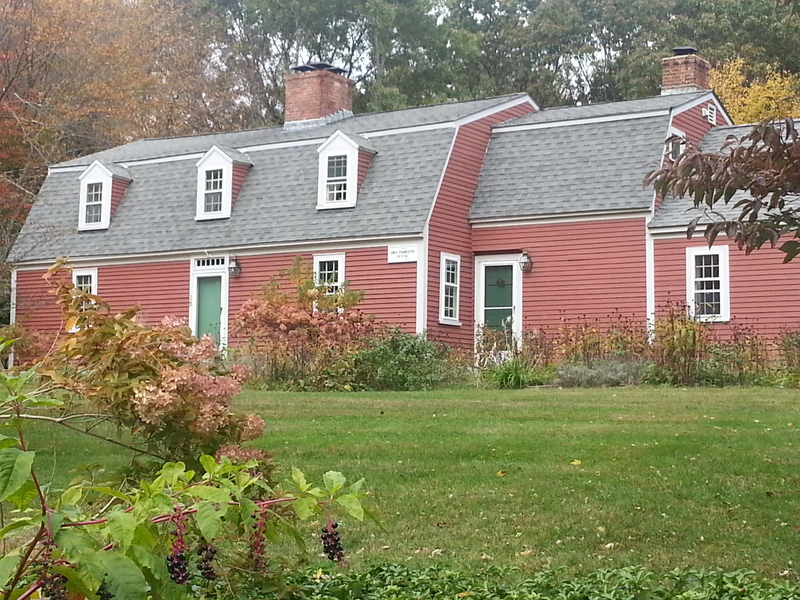 Was the 1847 purchase intended for establishing a business, or just for a residence? Given the location and history of the property, it could be either. Will Norwich newspapers and books help me determine if any well-financed mill owners started an operation in Tuscaloosa in the early 1850’s? If so, why did Russell have a new partner by 1860? 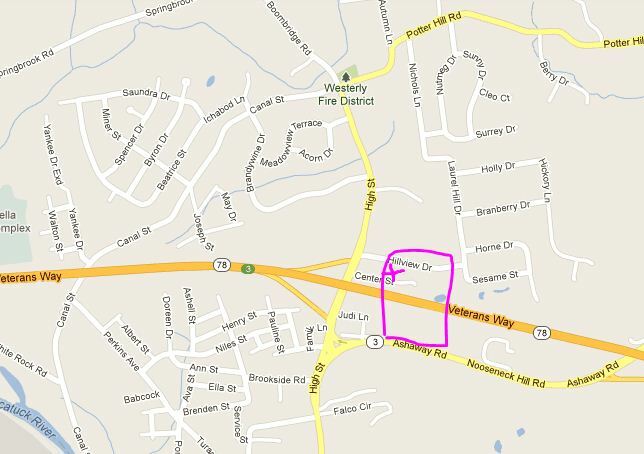 Can I find additional evidence in Tuscaloosa? I do have a few books to read through. It was a depressing time in Tuscaloosa. It’s been hard to get myself to learn more, but, learning more always helps. Is there any evidence in Norwich newspapers of Russell and Hannah’s life and departure for Tuscaloosa? Is there any point in further research on the congressional bills from the 1880’s? Once, a kind blog reader put a request in for me to the National Archives in DC. Nothing was found, but I wonder if I could try again, perhaps by hiring my own NARA researcher. Does May, 1851 – the date of the last Norwich deed – represent the departure date for the Lampheres? I suspect it does. And why was Russell “of Montville” when he had just been enumerated in 1850 in Norwich? Were they staying with someone? Will tracing John Denison back to Stonington, on my own, not relying on any books, help me find something to link him to a Lamphere wife? Are there any other middle name clues to be found amongst the descendants of Daniel and Nancy Lamphere? I have tried to find any, but need to try harder. Can DNA results help at all? If you think you are a fourth, fifth or sixth cousin to me, and you have a DNA test on Ancestry DNA or Family Tree DNA, can you drop me a note and tell me the name listed as the test taker? I would appreciate it. And there are a lot of cousins out there; I am lucky to hear from them from time to time. Lydia (Lamphere) Palmer’s grave, from the same plot as Russell (Jr.) and Hannah Lamphere in Yantic Cemetery. Photo by Diane Boumenot. While at the Family History Library last month, I was finally able to get a copy of the 1726/7 map showing the division of George Lamphere’s property among his heirs. 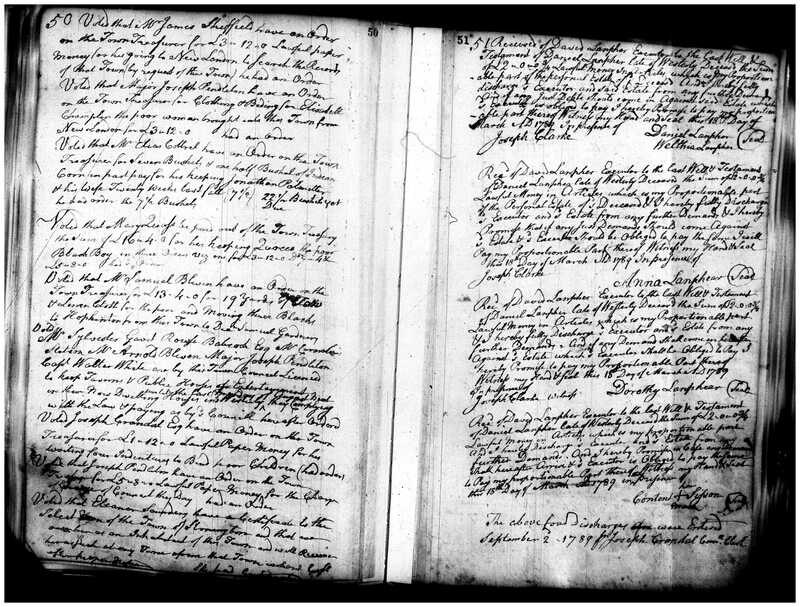 My goal in investigating the early Lamphere property is to seek evidence of the parents of my 5th-great grandfather Daniel Lamphere of Westerly, who died in 1808 and may have been born around 1735-1740. 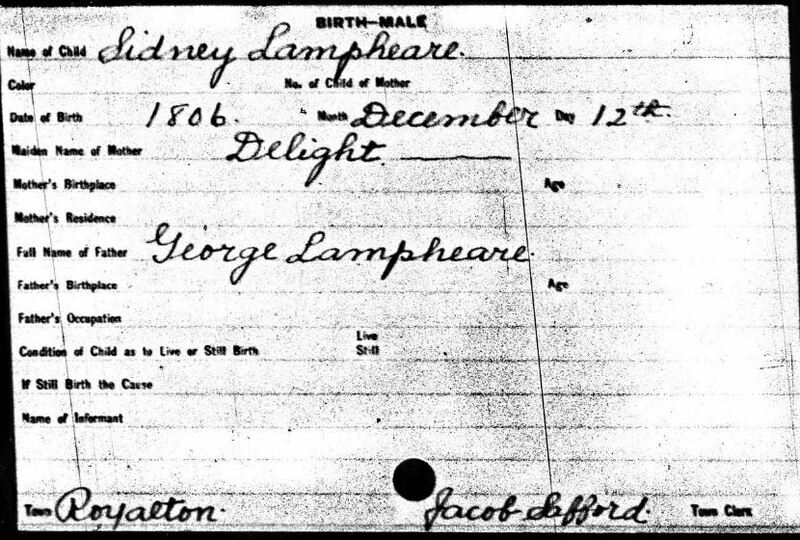 Given the timing, it’s likely that Daniel’s father was a grandson of George Lamphere. 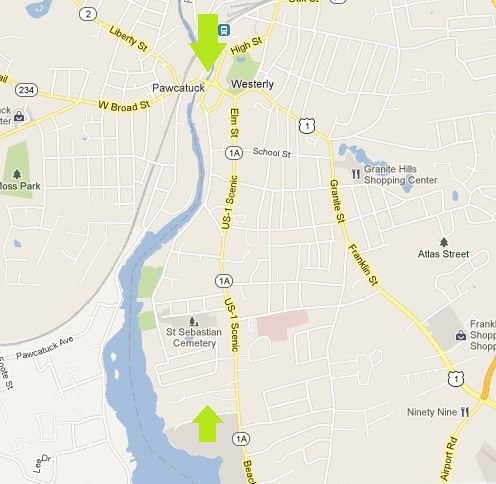 View of Westerly and the Pawcatuck River. 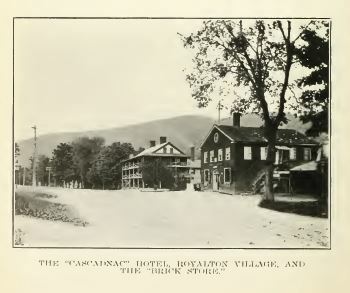 Westerly in a much busier era, 1888, from Picturesque Narragansett, p. 163. The theory in The Lamphere Family Research Aid (1981) by Shirley Bucknum that the Daniel who married Eunice Wise was Daniel4 (Daniel3, John2, George1) was something I double-checked while in Salt Lake City; unfortunately THAT Daniel signed a receipt in his father Daniel’s 1788 probate record along with his wife, Wealthia. MY Daniel was married to Nancy at the time. 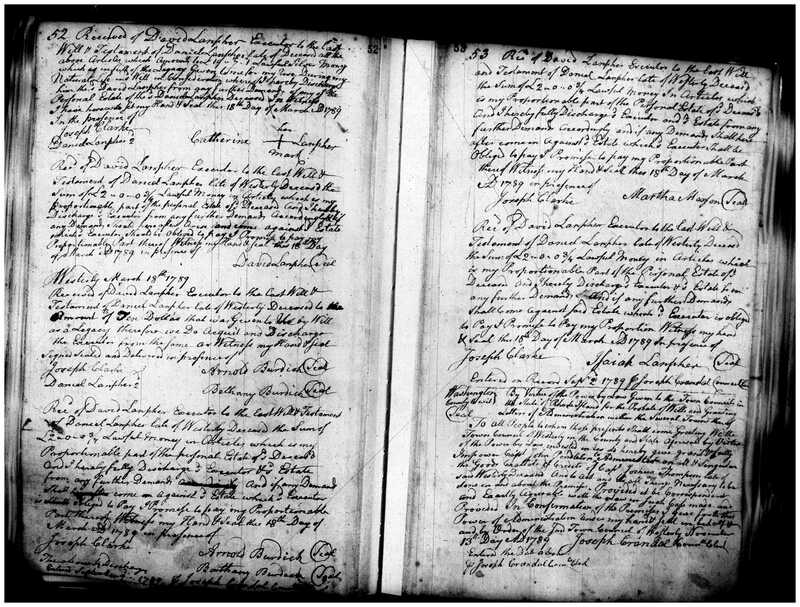 I wanted to explore the whole probate record (my copies download here if you want to take a look – page 1, page 2, page 3, page 4) and when I did, sure enough, THAT Daniel really does seem to be the son of John2, because he names his wife, Cattern. So I am looking things over again, more broadly. This is an open question. Daniel and Welthia Lanpher signed a discharge on March 18, 1789 for their share from Daniel Lamphere’s estate. While we’re on the subject, I would note Mr. Bartley’s warning that there is no evidence for the name of George’s wife. People may “have” a name, they may “find” a name, but there is no evidence. 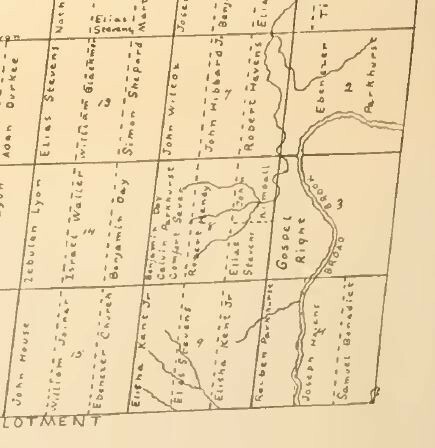 The map from p. 181 (printed numbering) of Westerly Probate Book 4 shows the division of George Lamphere’s land. Note that the corner landmarks are: A large white oak, large white oak tree, John Lanphear’s [Corner? ], and [illegible]. Other landmarks mentioned are a stake, and a stake and stones. I just don’t know where this land is. 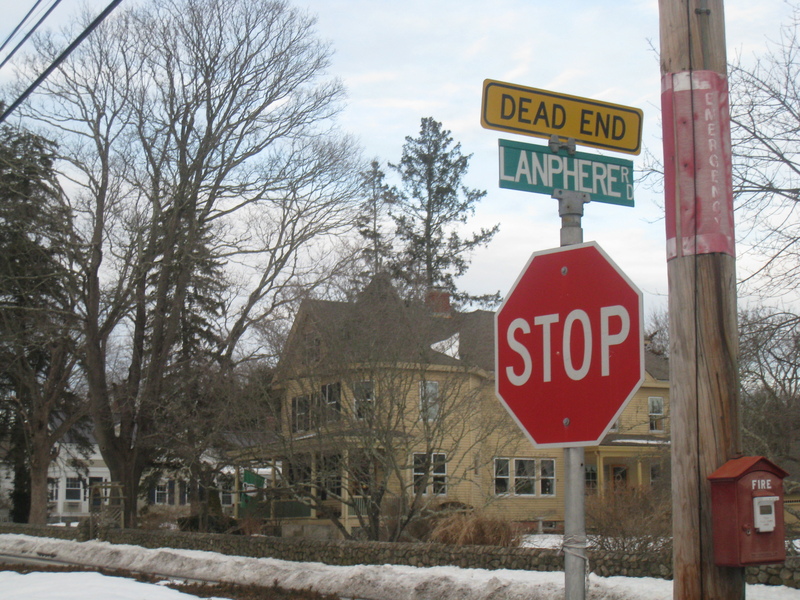 My guess about where MY Daniel Lamphere left land to his second wife and his many children is in this post: On Lanphere Road. The area I found was called “Lamphere Hollow” and there is a decent chance it represents the general area where George had his land, but I don’t know. William Brombly ………..3 . ……… 1. … 4 …..1 ……………………….. 1 ………………………..1 . …..
Nathan Lanpher.. … :. ….. ..2… . 3.. .. 2.. . .2… .. I.. …………………. …..I ……………………….. I.. …. Nathan Lanpher Jur …….. 1… . 2… . l .. .. 3… .. I.. ………………… ……I.. ………………… ……I.. …. Daniel Lanpher …………. .2.. ……. .3… . l … ..I.. ……………………… I.. ………………. ……..I.. …. The neighbors are some of the same names mentioned in the deeds of my Daniel’s widow, Nancy, as the property was sold off after 1808. Clearly, “Nathan” and “David” are huge clues since, at this early date, they are not Daniel’s sons. I think “Nathan” may be Nathan4 (Nathan3, John2, George1) who was married by 1774 to his third wife, Sarah Saunders and had about 10 children already. This leaves me confused – I’m not even sure what the right number of Daniels should be. I need to go through the 1790 and 1800 census page by page – after all, one of the Daniels died in 1788. Maybe that will clarify things. map of southern Rhode Island from History of Washington and Kent counties, Rhode Island, 1889, page 1. 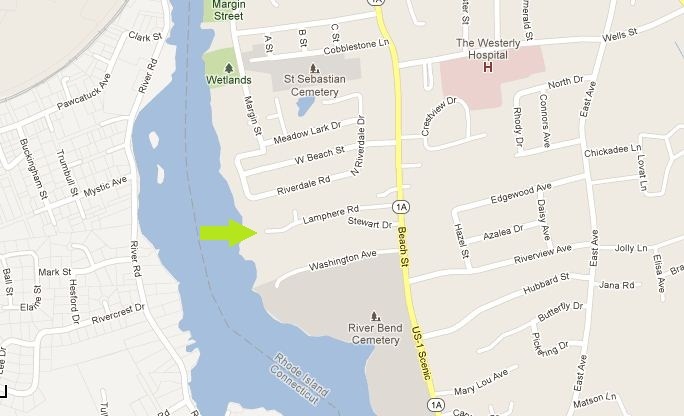 The Lamphere property that belonged to my family was just above the bold “Westerly”. Can the old map help me? Can I find descendants of the Crandalls, Pendletons, Coveys, and Buttons still living near my Lampheres? – I wonder what happened to the properties inherited in this division. Names – Fortunately, my Daniel had a lot of children over the course of two marriages. I need to investigate the names more thoroughly. Unfortunately for this purpose, I still don’t know Nancy’s maiden name or family. Sources for information about the early families are unreliable after generations 1 – 3. I may just turn to deeds and vital records so at least I know the names I’m finding are real. 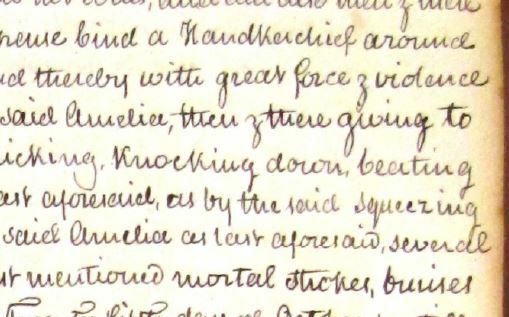 An index to early Westerly deed volumes can be found on USgenweb here which is a useful starting place when planning to look at Westerly deeds. 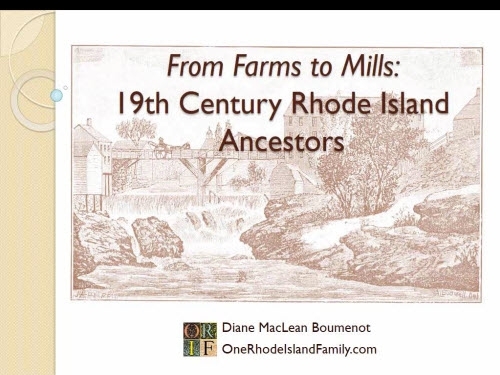 Rhode Island Roots – I explored these for Lampheres years ago when I probably just tried the index for certain names. There may be lots of subtle clues in there I could find today. Review what’s known – I plan to make a complete list of every fact related to my Daniel and his son Russell. Some names were mentioned in the probate that I explored extensively a while ago, but need to revisit. Census – re-analyze all existing census records looking for patterns of neighbors. From At Home Again page 36. 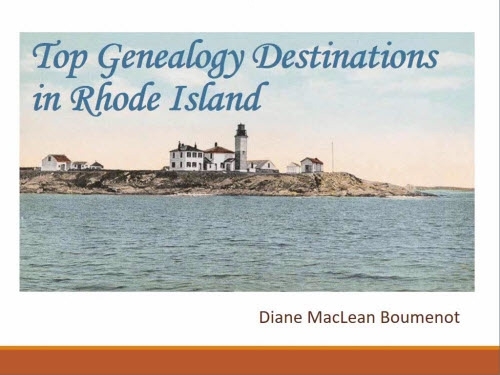 I made some good progress this year with the Lampheres when I found some Westerly, Rhode Island deeds that showed that my ggggg-grandfather, Daniel Lamphere, had two families of children, the first with wife Eunice (possibly Wise) beginning in 1759, and a subsequent set of children after 1775 with second wife Nancy (possibly Tefft) (the story of that is here). 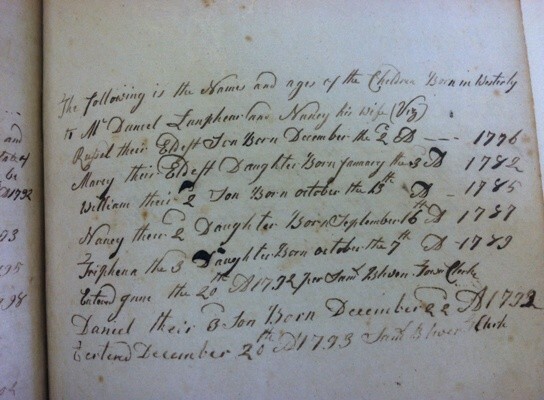 The Westerly vital record books show both of these families (vol. 3, page 100 and vol. 4, page 67 – both indexed in Arnold’s Vital Records of Rhode Island, vol. 5, Westerly Births & Deaths section, p. 111 & 112) and on first glance one would think these were two different Daniel Lampheres. Neither wedding – to Eunice or to Nancy – has surviving documentation, although the marriages are real enough, per the birth records, and Daniel’s last land records which name Nancy as his widow, and name both sets of children as belonging to him. She became Daniel’s widow in late 1808 and by her right of thirds, held onto one third of the Westerly, R.I. farm which I have tentatively located (see blog post here). Although I have no documentation of the wedding, their first child, my gggg-grandfather Russell Lamphere, was born December 2, 1776, and five additional children by 1792. To Mr. Daniel Lanphear and Nancy, his wife, RUSSELL their eldest son born December the 2d AD — 1776. The other children were Marcy, William, Nancy, Triphena,and Daniel. 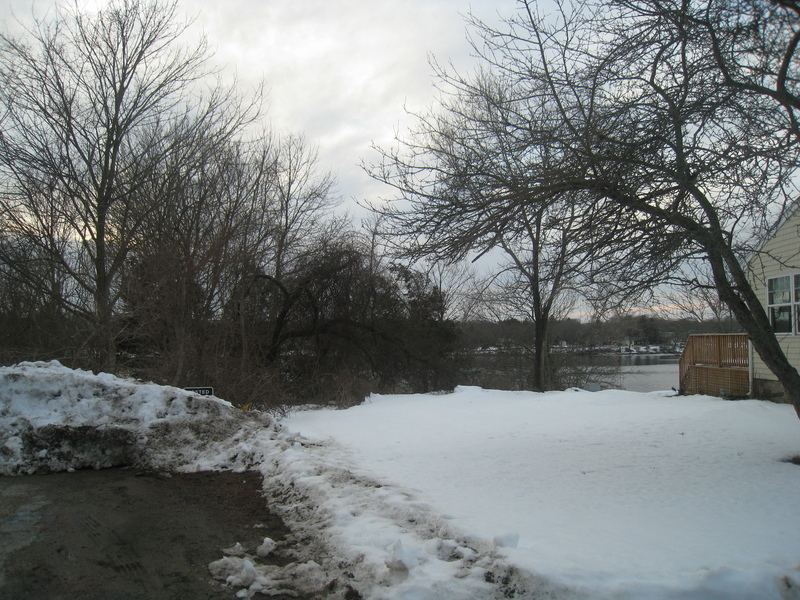 There was a neighbor to the Lamphere property over a period of many years named John Tefft. A Partial Record of the Descendants of John Tefft by Maria E Maxon Tefft (Buffalo: Peter Paul Book Company, 1896) presents, on page 30, a John Tefft family featuring a daughter, Anna (for which Nancy would be a nickname), who married Daniel Lamphere. Surprisingly, Anna was born in 1790 (and Arnold’s Vital Records of R.I., vol. 5, Westerly, p. 138 shows the same birth dates) . Since my ggggg-grandmother Nancy married by 1776, the person in the book is about a generation off. The book A Partial Record reports some information about John Tefft’s property: “The Tefft homestead was built in 1739, and is situated one mile and a half from the busy part of Westerly, R.I. and is owned by William R. and Walter Frazier, great great grandsons of John Tefft.” I turned to my map of the Lamphere property location, as well as a Beers 1870 map from this page on historicmapworks.com, which shows a “Wm Frazier” and “Frazier”. That location definitely borders the Lamphere property. 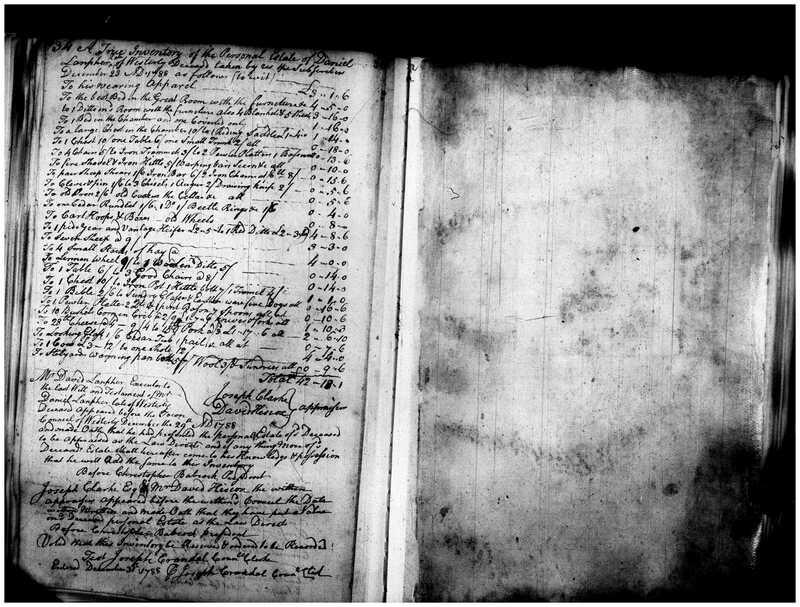 John Tefft’s will is abstracted in the Rhode Island Genealogical Register, v. 9, page 54 (Westerly, R.I. Probate vol. 2 1811-1821, p. 347-348). The will was proved 28 Feb 1820, and mentions many of the same children, and their spouses, reported in A Partial Record, including daughter Anna Lanphere, wife of Daniel Lanphere. With so much to back up the John Tefft family whose daughter, Anna, born 1790, married Daniel Lanphere, I have to conclude that there was a real Anna Tefft, daughter of the neighbor John Tefft, who married a Daniel Lanphere. But it is clear that is NOT MY ggggg-grandfather Daniel Lanphere, but must be some later Daniel Lanphere. 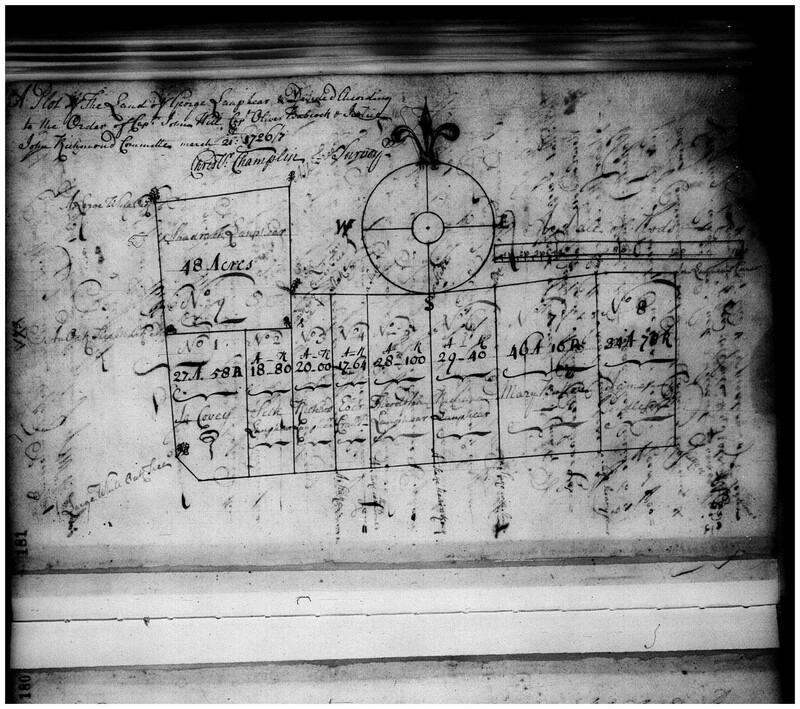 Transcription of Nancy’s mark on the 1817 deed to Nathan F. Dixon. My Daniel Lanphere had two sons “Daniel” named in the Westerly birth records, one born in 1768 in the earlier family and the other in 1792 in the later family. This seems strange since there is no indication that the elder one was dead before the later one was born. 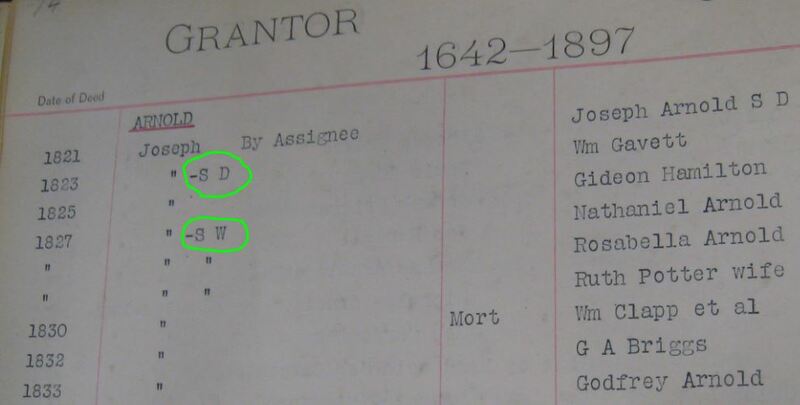 A Daniel Lamphere had an 1812 probate record in Westerly, abstracted in Rhode Island Genealogical Record naming three minor children, Daniel, Sophronia, and Pamelia, who chose Lemuel Vose as their guardian (Lemuel’s brother was married to a Mary Lamphere, connection unknown). I am not finding a marriage record nor have I read the original probate record yet, (The Lanphere Family Research Aid mentions that a wife, Elizabeth, is named in the will), but Nancy, born in 1790, is very unlikely to have been the wife here, she would be a little too young. There are other Daniel Lampheres. There is a Daniel Lamphere, died 1854, buried in the Joshua/Lemuel Vose Lot in Westerly, near his two wives: Nancy Ann, died 1832, and Fanny, died 1838. Surely, that is the Daniel that was taken in as a child by Lemuel Vose in 1812. I can find no last name for Nancy Ann – could she be Anna Tefft? 1810 Federal Census, Westerly, R.I., showing cousin Nathan Lamphere, cousin John Crandall, son Russell Lamphere (who may have been managing property but was usually living in Connecticut), and Anne Lamphere. It seems likely that this Anne was Nancy. Courtesy of Ancestry.com, page 3 of 7 in Westerly. All along, I suspected that the Tefft books were simply placing my Nancy Tefft in the wrong generation, somehow. But now, with evidence to substantiate what the book says, I am starting to think that A Partial Record is right about Nancy Tefft. She married a Daniel Lamphere, just not MY Daniel Lamphere. Is the whole “Nancy Tefft” idea that I see mentioned over and over as my Daniel Lamphere’s wife a simple error based on the Tefft books, possibly encouraged by the neighboring properties, but really my ggggg-grandmother has a completely different surname? Could there actually be two generations of Nancy Tefft/Daniel Lamphere marriages? If her surname is not Tefft, how will I find other possibilities? 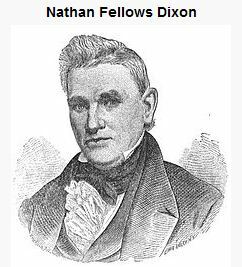 I think I have explored all of her deeds, and I am unable to find a death record, and probate for her seems unlikely since she essentially deeded her third of the farm to Nathan F. Dixon in 1817. Based on the census, she seems to have lived past 1830. All in all, the details in the book looked shoddy to me, but they turned out to be reliable enough that they are truly pointing in another direction. Now I am left with a completely undocumented wife … essentially, starting over with her. Considering that I truly have no idea what her name is, look for new possibilities. I have taken the Tefft suggestion much too seriously. I will not even use it as a tentative name in the database anymore. Keep searching for death, probate, subsequent deeds, census or burial info for Nancy. Find out what happened to the first wife, Eunice – continue the search for a divorce record at the Rhode Island Judicial Archives, or death information for Eunice in other places. Continue to explore the stories of each of the 15 children listed in the Westerly birth records for Daniel Lamphere. 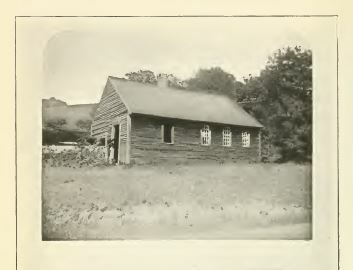 Old Seventh Day Baptist Church, Westerly. Some Lampheres were originally members, but there is no evidence that Daniel and Nancy were. http://www.Findagrave.com, Vose Lot, also known as Rhode Island Historical Cemetery Westerly #023. The Ancestry of Harry E. Figgie, Jr., of Cleveland, Ohio by Patricia Law Hatcher. Boston: Newbury Street Press, 2007. The Lanphere Family Research Aid by Shirley (McElroy) Bucknum. The Genealogical Society of Portland, Oregon, 1979, plus rev., 1981. The author states there is no copyright on the book, so that it can be shared. I will try to take better pictures of the booklet in the future and put it online, in the meantime, try this link to an archived pdf copy (all notes in this copy are by Scott Andrew Bartley). A Partial Record of the Descendants of John Tefft by Maria E Maxon Tefft Buffalo: Peter Paul Book Company, 1896. 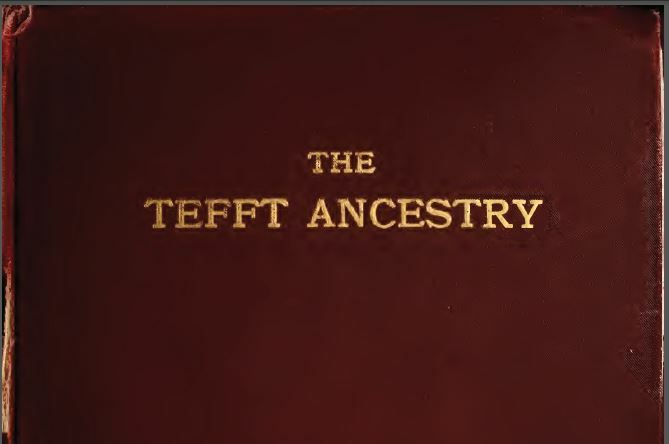 The Tefft Ancestry, Comprising Many Hitherto Unpublished Records of Descendants of John Tefft of Portsmouth, Rhode Island by Charles H. W. Stocking. Chicago: The Lakeside Press, 1904. The Genealogical Dictionary of Rhode Island by John Osborne Austin – add. by G. Andrews Moriarty. Baltimore: Genealogical Publishing Co., 1978. Teffts are on p. 392-393. Covers early generations only. Sypher, Francis J. “Ancestry of William Tefft of Herkimer and Oneida Counties”, The New York Biographical and Genealogical Record, v. 139 (2008) p. 95-102. Hatcher, Pat. “Peter Tefft and Occam’s Razor”, The New York Biographical and Genealogical Record, v. 139 (2008) p. 103-108. 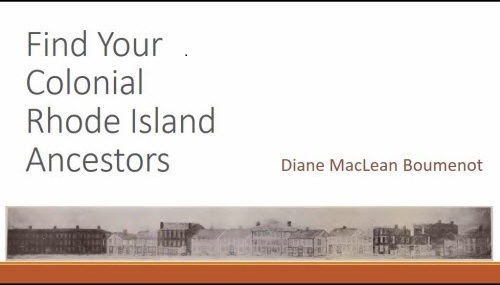 Mathew, Linda L. “John Tefft and his Children: A Colonial Generation Gap?”, Rhode Island Roots, v. 18 1992, p. 76-80. The Descendants of John Tefft (1614-1676) compiled by Rachel Saul Tefft. Reprinted by Higginson Book Company, Salem, Massachusetts, 1997. Accessed at the Allen County Public Library, Fort Wayne, Indiana.